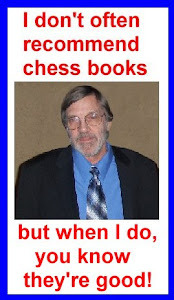 I currently have four chess programs on my laptop: Fritz 12, Chess OK Aquarium, Chess Assistant 16 and an ancient (by computer standards) Shredder Classic 4. While each program has its pluses and minuses, my go-to program is still Fritz 12. While the latest version of Fritz is 15, it costs about $80. And, you are paying for features that aren't really needed...the e-book version of Capa's Chess Fundamentals. This book can be downloaded from various sources in pdf format for free. The Fritz engine still is not as good as the free Stockfish. The "Friend" mode has been reworked, supposedly to make playing against an engine more realistic. The "on-demand video” gives unlimited access to a database of training videos, etc. That's fine, but there are plenty of places online where you can watch some excellent training videos for free. You get access the ChessBase online database with 8 million games. Again, game databases abound. True, not 8 million, but I am willing to bet that most of those games are played by lower rated players. In any case, my 2 million game database (occasionally update) has served quite well. The “My Games Cloud” allows you to access your server games...if you play any on Playchess which requires a subscription after your free trial membership is up. There are more than 34,000 training tasks with the program. Tactical training is free on several sites. The highly touted “Let’s Check” gives you access an analysis database with over 200 million deeply analyzed positions. Just a guess, but I'm betting the odds of the database having exactly the position you are looking for are still pretty slim. Anyway, why not let your own engine run overnight if you're that interested in a position? All these bells and whistles are nice, but for most players they are not worth the money. You can go online and purchase Fritz 12, if you can find it, for about half of what version 15 costs. But version 12 is getting scarce. The next best alternative is probably Fritz 14 which is available by download from Amazon Digital Services for $40. You get 6 months Premium membership and a 1.5 million game database which, if you want to take the time, you can add games to it. Then you download Stockfish and maybe the latest free version of Komodo, which is version 8. And, for half the price, you'll have just about everything you'll need. Of course, if you're looking for totally free, then Arena Chess or SCID are both excellent alternatives. And, if you want something functional, yet somewhat simpler to use then the Tarrasch GUI is an excellent choice.